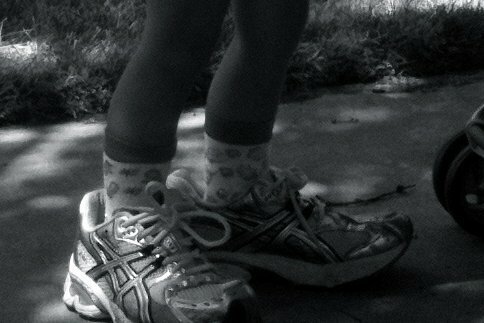 aves has takin' to wearing my "workout shoes" with huge socks everywhere! she trips all over them and just blows it off. she is so cool.